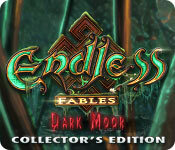 Endless Fables: Dark Moor Collector's Edition is rated 3.5 out of 5 by 34. Rated 5 out of 5 by Talisbird from Good fun I had such a lot of pleasure playing this, and my review is based on my personal experience playing this to the end. It is rattling good fantasy stuff. The puzzles and HOP's were enjoyable and varied. The latter were a particular challenge. A lot of care and hard work went into the creation of this game. The graphics were good and clear. The bonus game was very unique. Rated 5 out of 5 by Winnibigoshish from So beautiful, and many hours of fun Based on entire game, and bonus chapter Visually enchanting, for me. The "look" of a game is a major factor in my enjoyment of the game. This game knocked it out of the park. I never win the achievements for "five in five" or that sort, in any game, because I spend a lot of time looking around and relishing the beauty and the skill that went into creating it. As far as game play: this was a nice balance of not insanely difficult, but also not mind-numbingly simple. Enough challenge to keep it fun while I was enjoying the scenery. As others have said, it's a tiny bit scary, but not the kind where you're afraid to go to bed later. Had a good amount of HO scenes, which is my favorite part, so I'm glad they didn't skimp on the HOs. Collect scepters, and keep your eye peeled for morphs. It ain't a CE if it ain't got morphs. Enjoy! Rated 5 out of 5 by Inspectivus from A Spooky, Visceral Adventure! This is my first review on here, but I'm a long-time player. There was a lot to enjoy about this game. The settings were beautiful and the quality felt quite consistent, with a good number of HOG scenes. It seemed more mature than a lot of the games on here, without being too extreme. There are some jump scares, but they were well done. I'm not a fan of jump scares, but they didn't interfere with my enjoyment of the game too much. I really enjoyed meeting the different characters in the world. Each one had a unique personality, and there were some cute moments to lighten the mood of a quite dark story. I will say, there's definitely a creepy atmosphere that follows you everywhere in this game! The game world is rich and it feels like there's a lot going on. I'm a huge fan of mythology, fables, and monsters, so this game was right up my alley! I will say, the game isn't horribly hard, but it also doesn't hold your hand after a certain point. You know what you need to do, but they don't spoon-feed you all of the details. I think this is a gem of a game and absolutely worth playing it to see if you like it! Rated 5 out of 5 by gfehse from AN ADULT GAME -YEAH Nice to play a game that's not about fairies. Not that there is anything wrong with fairies. Good game, worth buying! 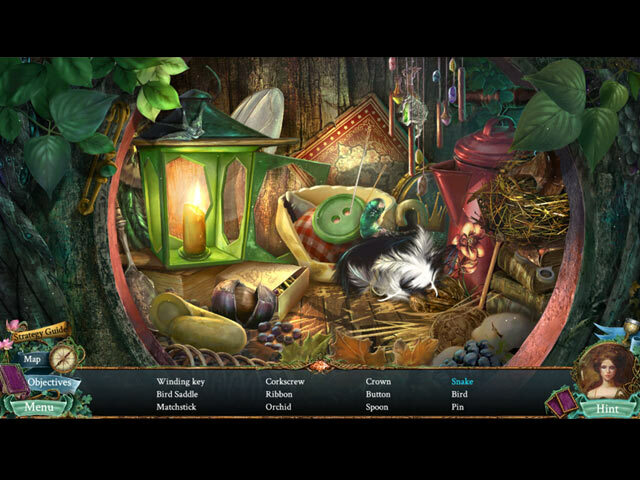 Rated 5 out of 5 by oversixty from Endless Fables Dark Moor Best Hidden Object game ever. Please have more of them. I really enjoyed this game and bought it without playing all of the sample. Love it love it love it! 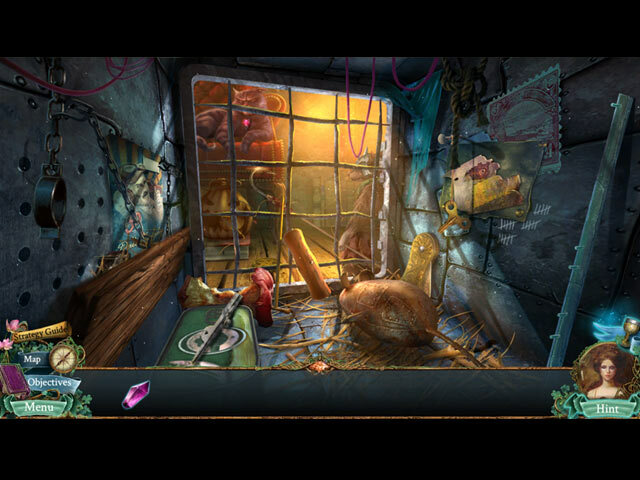 Rated 5 out of 5 by radrocker from Scary Goodness The dark and creepy ambience of the game is a lot of fun! The music and voice acting are excellent as is the art. 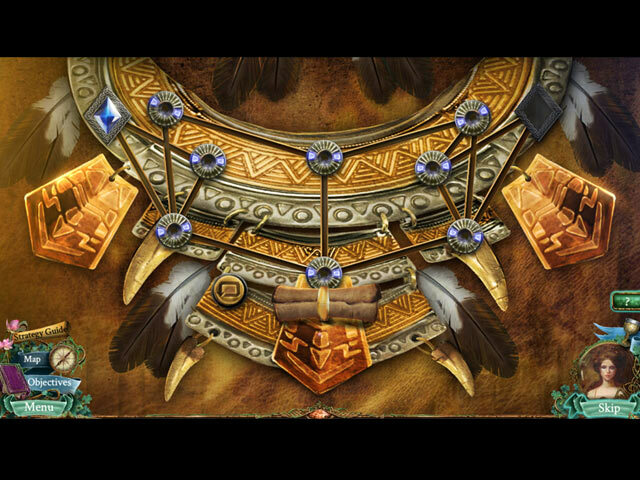 The puzzles could be more challenging, but the story is enough to keep me wanting more.